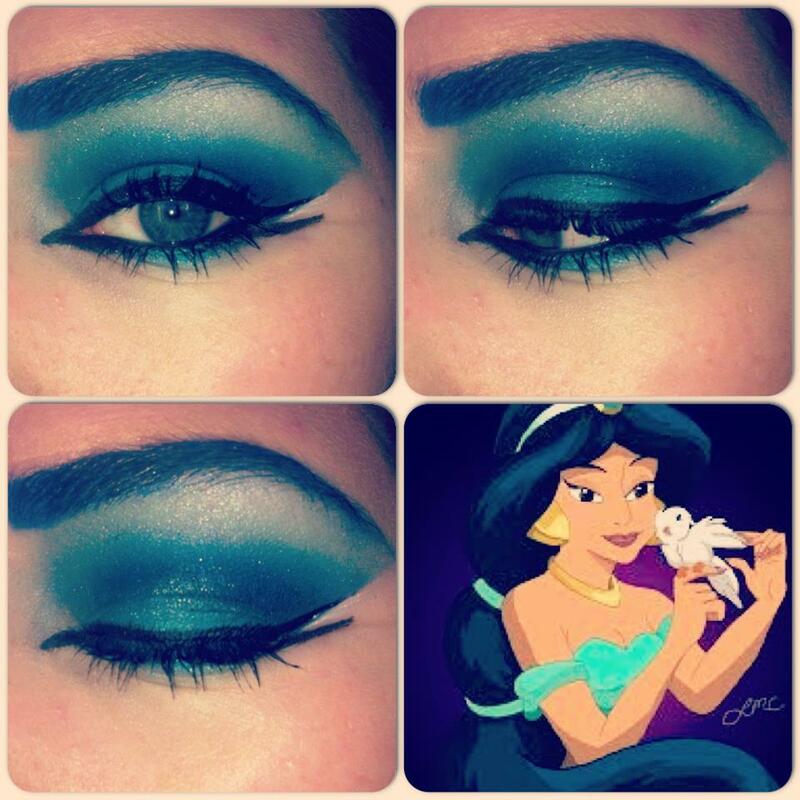 Following my Tinkerbell makeup look, I did a Princess Jasmine inspired look. 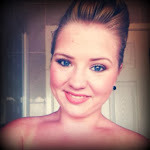 I say inspired because I used the colours in her outfit rather than just copy the makeup on her face.. I posted a picture of this look on my instagram and it was quite popular so I thought I'd do a quick post on it! I primed my lids, then packed on a turquoise shimmery shadow. 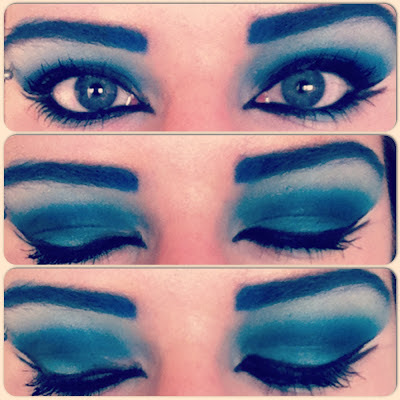 I used a bright but dark blue shadow in my outer corner and crease, then blended that out to my socket using a fluffy brush and baby blue shadow. I darkened my crease with a matte black eyeshadow and blended the hell out of it! I then filled in my brows using a dark blue pencil to keep in with the blue theme, and applied a shimmery white shadow on my brow bone.